This duvet set is amazing! I love the simplicity of the print, and the contrast tie-dye shams are SWEET! 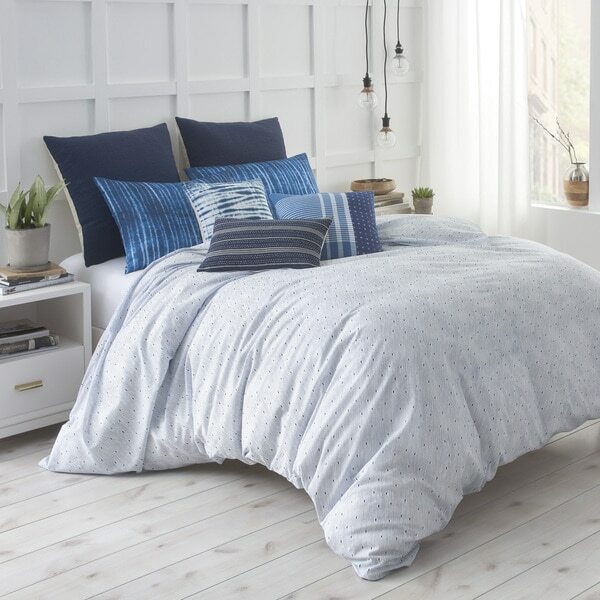 The fabric is crisp and light - not too heavy - and perfect for a summer house bedroom. Excellent quality, excellent price, and fast delivery! I ordered a twin - which is what the package said as well but turned out to be a queen size! Item is not the same as in the photograph.